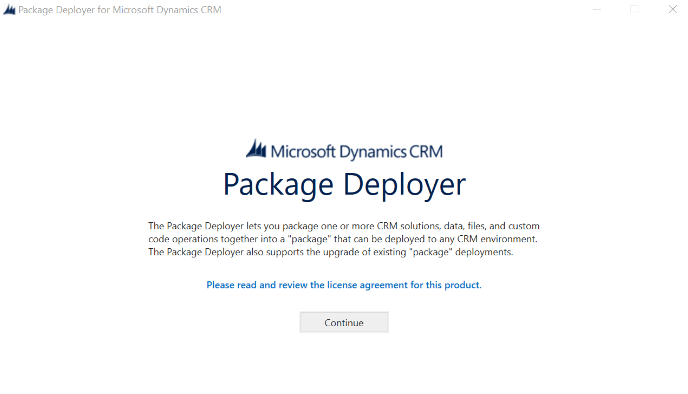 Download the Microsoft Dynamics CRM deploy package and save it to your machine. Right click on the .zip file, select properties, and unblock. Extract the contents of the zip file to any folder. Run the Package Deployer tool by double-clicking the PackageDeployer.exe file. Click Continue on the main screen. In the Connect to Microsoft Dynamics 365 screen, provide authentication details to connect to your Dynamics 365 server where you want to deploy the package. Important: The specified user must have the System Administrator role in Dynamics CRM. Note: If you have multiple organizations, check the Display list of available organizations check box. If you have multiple organizations on your Dynamics 365 server, select the Dynamics 365 organization to connect to. Follow the instructions on the subsequent screens to complete the deployment of the package. In a web browser, navigate to https://web.powerapps.com . Sign in by providing the same credentials that you used to sign up. In the menu on the left, select Connections. In the Search textbox, enter Dynamics. Select Dynamics 365 in the list. In the Search textbox, enter Office 365 Outlook. Select Office 365 Outlook in the list. In the popup window, select the account you logged in with. In the Search textbox, enter Office 365 Users. Select Office 365 Users in the list. 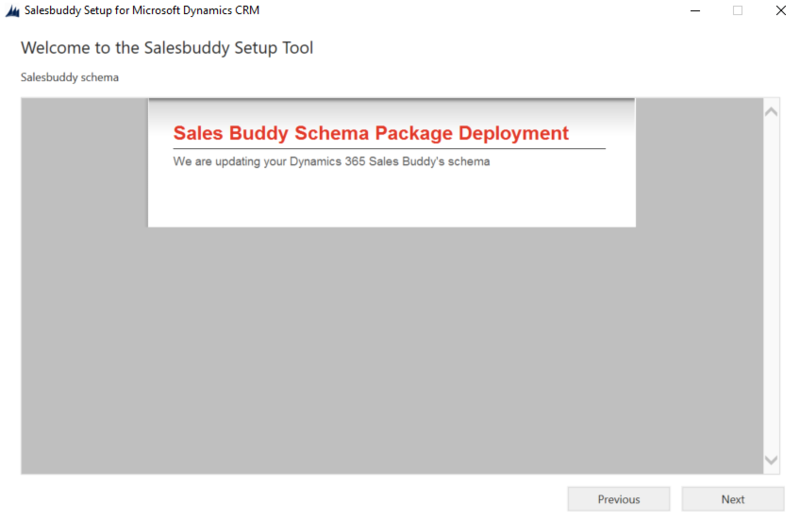 Download the Sales Buddy PowerApps Sample package and save it to your machine. In the menu on the left, select Apps. 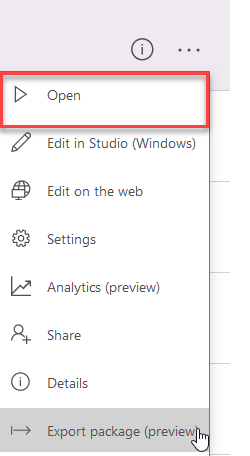 Click the Upload button and select the PowerApp package you downloaded. For the App resource types, set IMPORT SETUP to Create as new. Click Import and wait until the process completes. In the web browser, click Apps. Click the ellipses next to the SalesBuddy PowerApp. Click Edit on the web. In the Data pane, click the ellipses next to Accounts. In the Data pane, click the ellipses next to Contacts. In the Data pane, click the ellipses next to Products. In the Data pane, click the ellipses next to Opportunities. In the Data pane, click the ellipses next to Opportunity Lines. In the Data pane, click + Add data source. Select the name of your Dynamics instance. Watch this video to see how to use the Sales Buddy PowerApp sample. Sales Buddy uses the following Connectors to access Office 365 Services. We hope you enjoy Sales Buddy and look forward to hearing how you extend it for your organization!